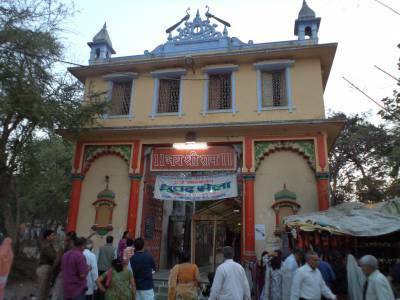 The Sankat Mochan Hanuman Temple in Varanasi, is an old temple and very pious to the Hindus where Lord Hanuman is worshipped. 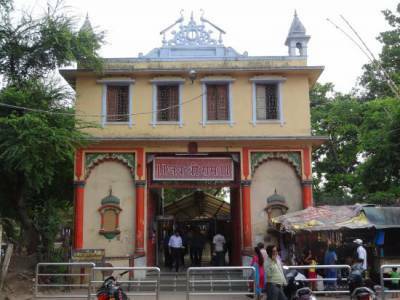 It is said that Sant Tulsidas who wrote the Hindu religious epic "Ramcharitmanas" had built this famous temple, in the temple complex many devotees are seen praying and reading the Holy "Hanuman Chalisa", many copies of which are kept near the temple for easy availability. 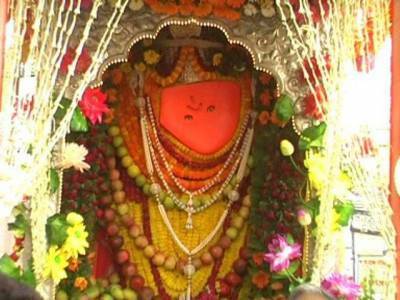 The Sankat Mochan Hanuman temple opens at 5.00 AM in the early morning and a morning Arati is held which is attended by many devotees and aarti also takes place in the evening and night again at 8.30 PM. 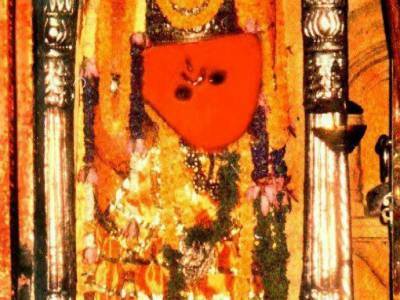 It is believed that those who are under the bad influence of Planet Saturn are protected by Lord Hanuman who is also called Sankat mochon or savior of all dangers. The temple is very simple looking and an ideal temple to find peace of mind. There are many sweet shops near the temple complex and devotees offer laddoos, bundeese and other sweets to the deity. Beware of monkeys in & around Sankat Mochan Hanuman Temple premises. Long queues only for those offering anything to the deity, in case only visiting as a tourist, no queue required to be followed. 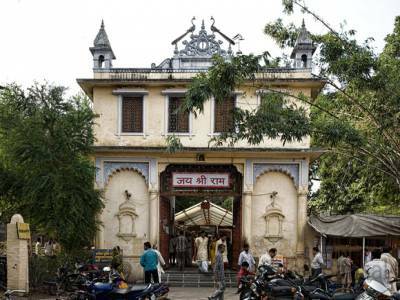 Get quick answers from travelers who visit to Sankat Mochan Hanuman, Varanasi.